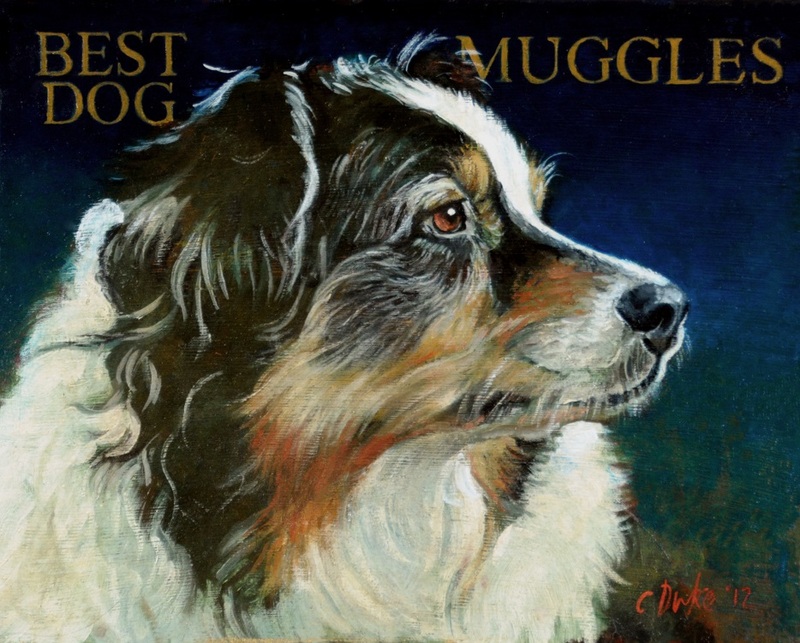 Muggles, an Australian Shepherd, is beloved by her owners who take her everywhere. The intensity of her gaze captured me. I gave Muggles the “Renaissance treatment,” putting turquoise in the background.